On Tuesday, 04/14/2015, I received a surprise e-mail. This week, BookWorks featured me on their home page, with a link to my profile. This designation is usually reserved for their paid premium members, which I haven’t become yet. 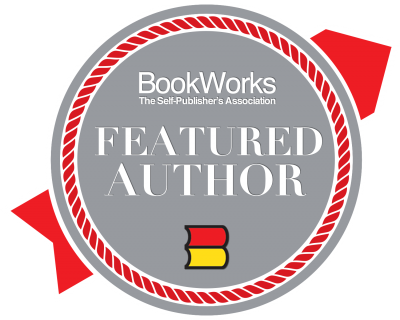 BookWorks is an association of self-published authors that provides a basic free membership. This membership gives access to a resources directory, book shop to sell your books, and service providers, among other benefits. Their “About” page offers a brief and thorough description of the association’s purpose. If you’re a self-published author, or planning to be one, this is an association well worth joining. And who knows, we may see your profile featured on BookWorks home page soon. Well-deserved recognition of the important work you do. Skywalker! oh wow! that’s great 🙂 Congratulations! Thanks, Gary. You’ve paid an important role in this too. Well done Skywalker and thanks for sharing the resource. Congratulations! Being featured is well-deserved…also, I appreciate that you shared information about the association – thank you. Kudos to you! And thanks for sharing information bout this organization. My chapbook is self-published, although I think for my first “trade publication” I’ll go the traditional route. Thanks, Shery. Looking forward to ways to buy your chapbook.